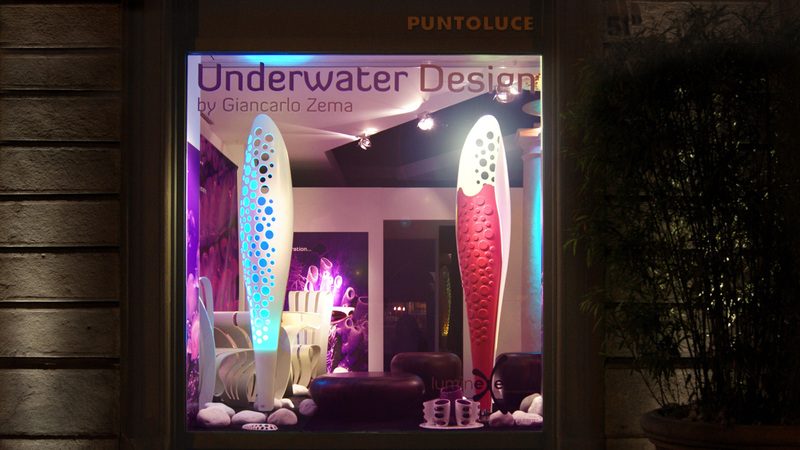 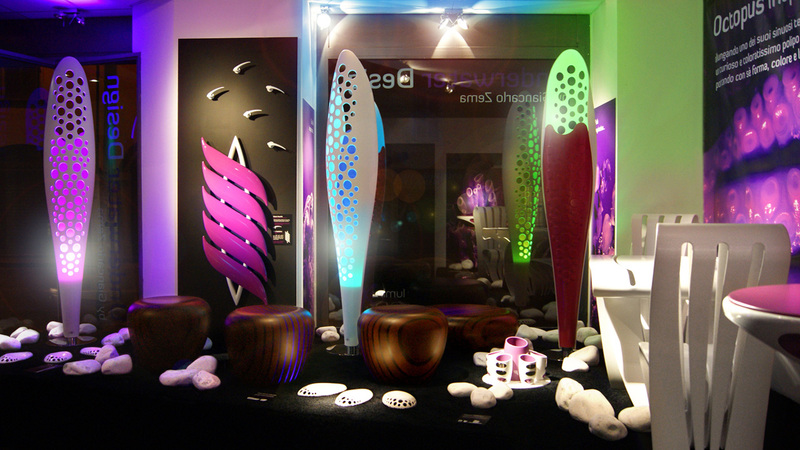 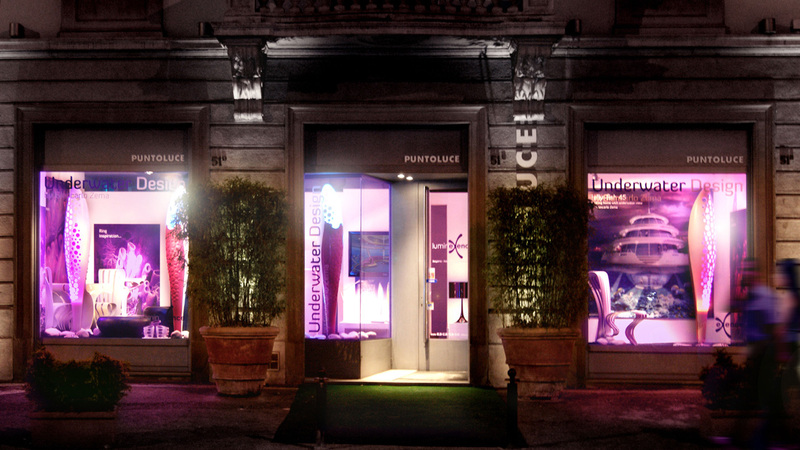 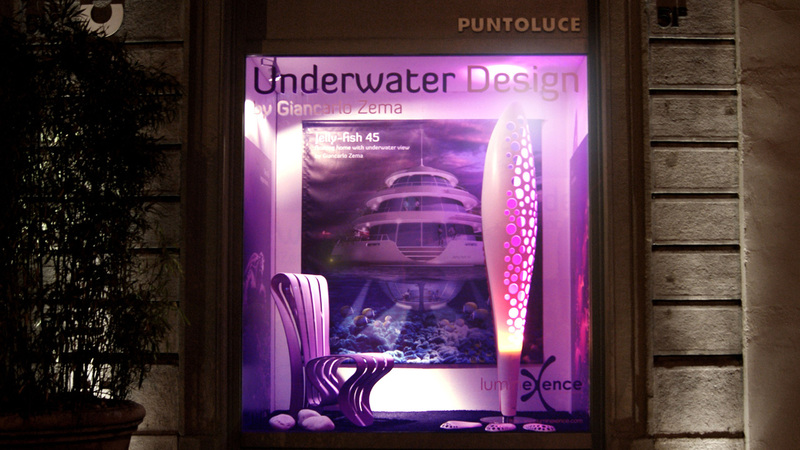 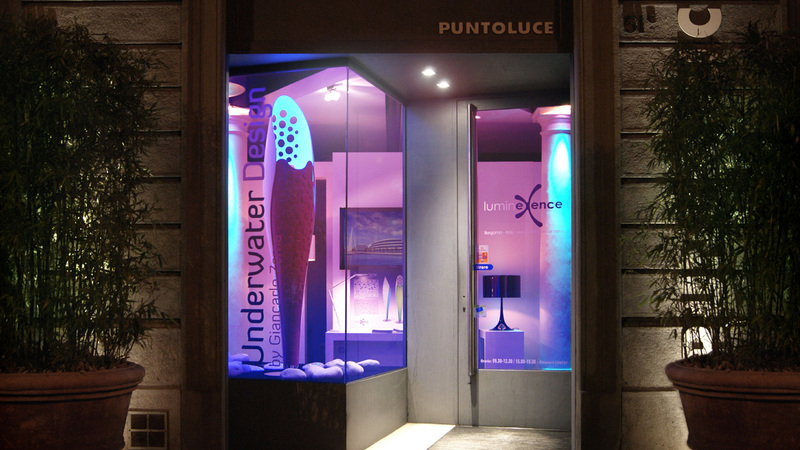 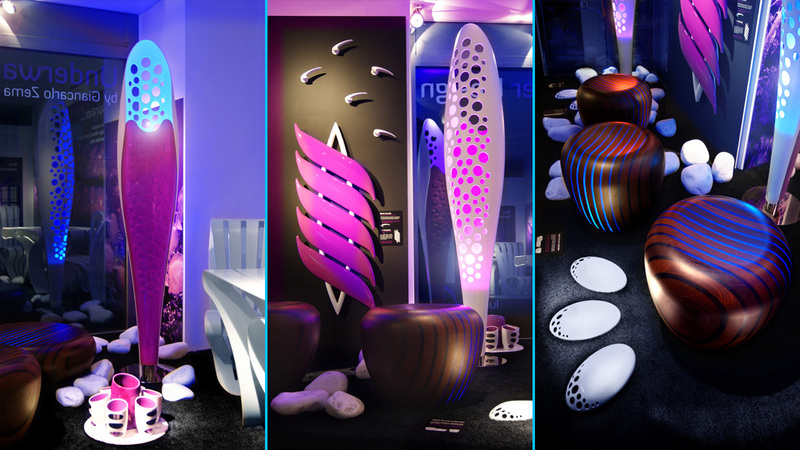 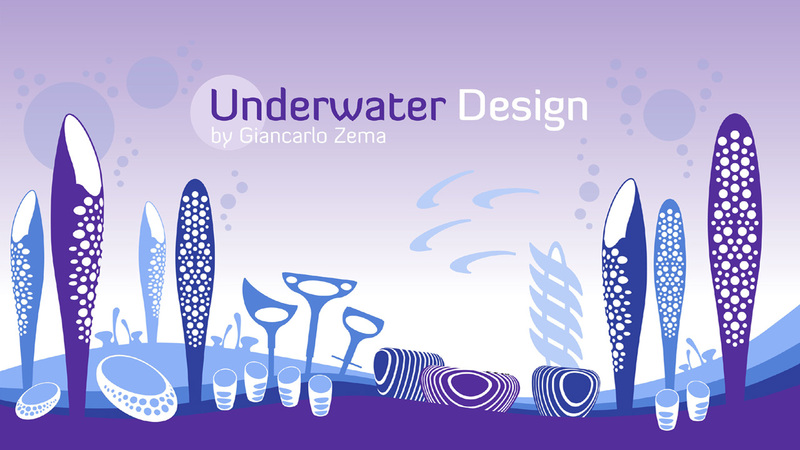 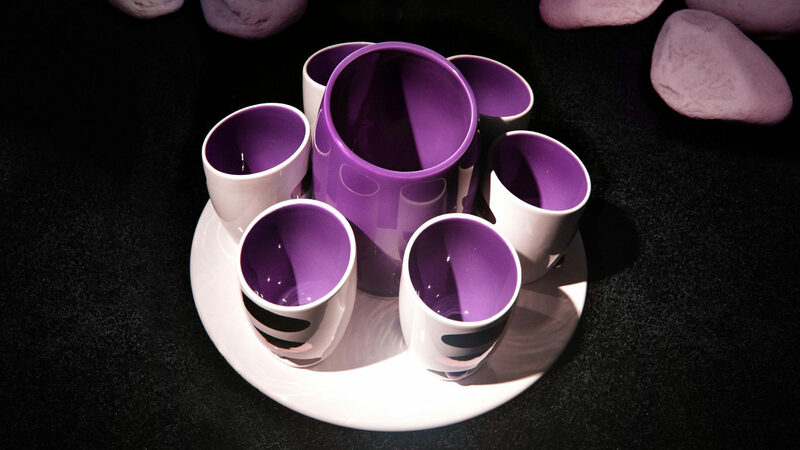 Underwater Design by Giancarlo Zema is the attractive exhibition promoted by Puntoluce, the showroom of Roberto Catellani in the heart of Bergamo, renowned as a reference point for good lighting. 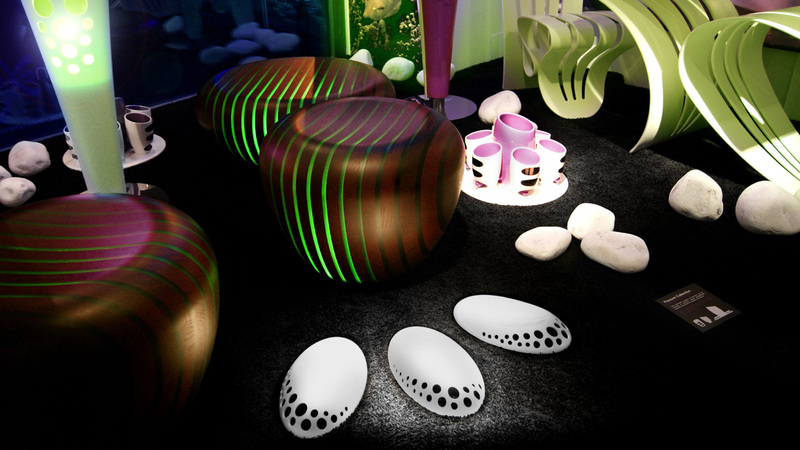 This perfect location will let the organic creatures of the architect Giancarlo Zema move and grow through an ideal seabed: the sinuous Leaf Collection in DuPont™ Corian® and the mysterius Bright Wood Collection for Avanzini Group, able to suggest unique and surprising atmosphere; the sprightly Ring Collection, table chair and stool for Giovannetti, that with its object-holder holes sprouts from the rocky bottom; the sculptural pressure Collection, two tone porcelain glasses and bottle-holder for Bosa; the smart SimoGi, rounded object-holder in DuPont™ Corian® for Bsolid; then, in the sea swim the coloured fishes of the Fish radiator for Runtal and the Shark handles for Ghidini. 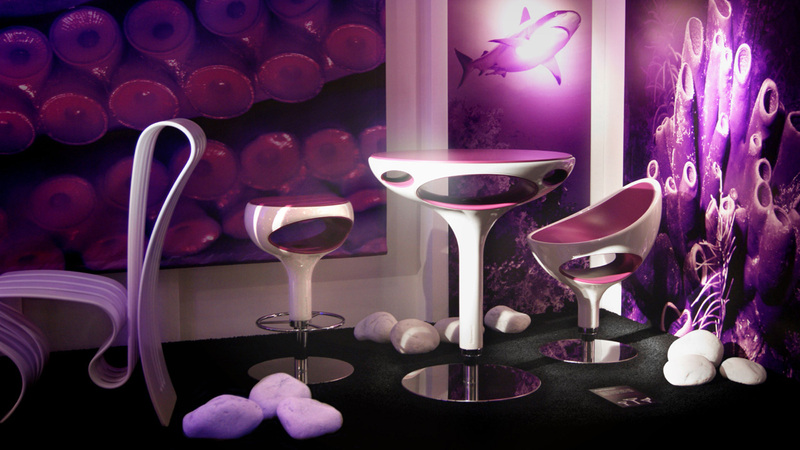 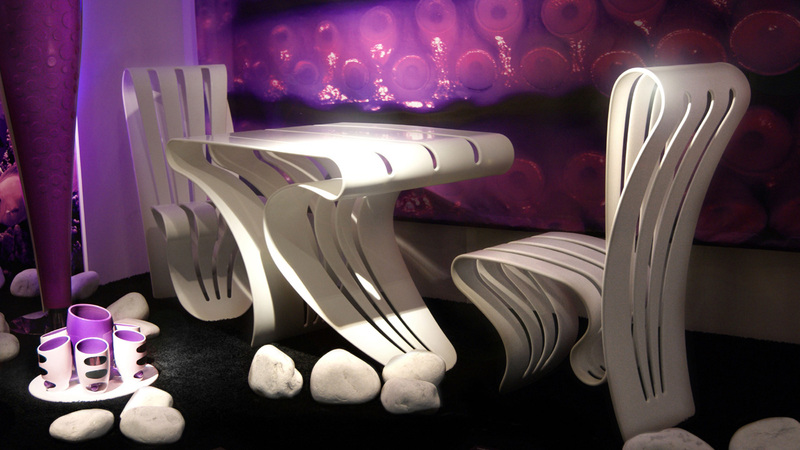 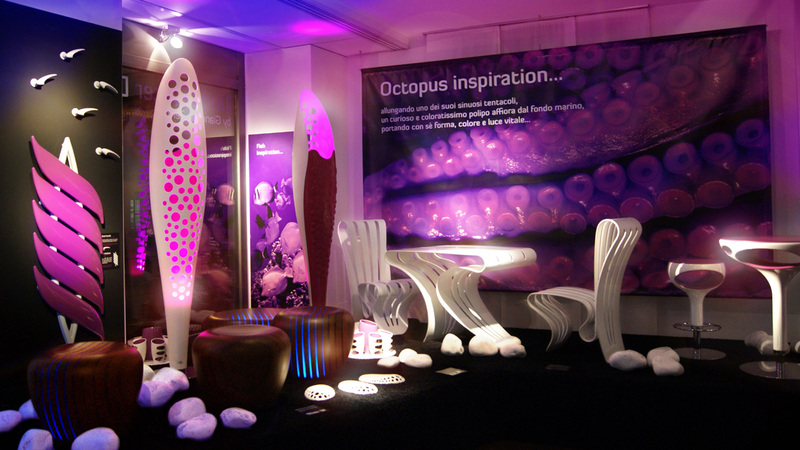 A luxury design exhibition and an extraordinary opportunity to introduce the public preview of the last creation in DuPont™ Corian® for LumineXence, the new floor lamp named “Octopus” of the architect from Rome always attracted by the sea world.